Water bottle tote. 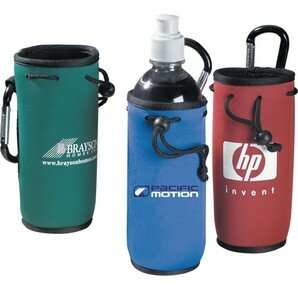 With handy carabiner clip insulating a 16.9oz, sport top, refreshing spring water bottle. Tote is also available separately as BGN600. Bulk Packaging. Bottle: Full Color Label: Set-up charge $45. Re-order setup charge $30.